It’s almost Father’s Day, which has me wondering two things. One, because I’m a dad, I feel the joy and the weight of that responsibility, and two, I wonder what gift my family will get me to celebrate the occasion. Work hard, have more. Seems to be a mantra of our culture. Advertisers depend on it. But really, where does it get us? And yet, as a dad, I have everything I need and more. And yet, as a father, I still get excited about the thought of adding to my treasure store. Today’s verse from Ecclesiastes might as well be from Proverbs. There’s a backhanded wisdom here. Wisdom from what is foolish. Chasing after more always leads to emptiness, yet we chase it all the more. It’s a stark reminder that I need to hear from time to time. Maybe you do too? In a positive light, this verse, because it reminds me of the emptiness of hard work for wealth’s sake, it also reminds me of hard work for God’s sake, for the world’s sake, and for my family’s sake. In reverse wisdom way, Ecclesiastes 4:4 reminds me of my “why”. Why I do what I do, and where the drive comes from to work hard at it. Let me encourage you to once again consider your “why”. “Why” do you do what you do? Yes to make a living. Yes for provisions. Yes, because you can, and by doing what you do well, you can make the world and your neighborhood a better place. Prayer: Lord, your love inspires us to work hard to make the world around us better for others. Help me to remember this when my heart again strays to chasing more material things or wealth. Amen. 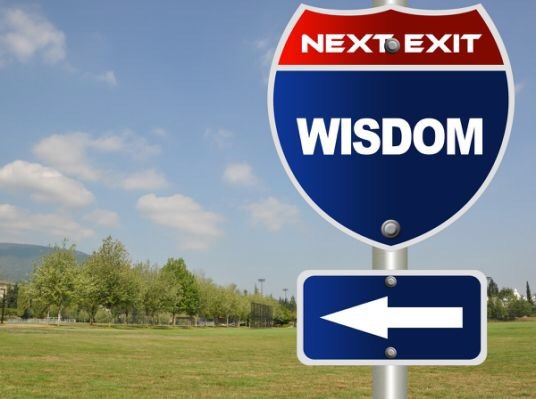 In a sense then, it occurs to me that striving for Wisdom is like chasing after God. I like to think I’m getting wiser every day. The pursuit of being more like Jesus, is in part, pursuing wisdom. Solomon didn’t wish for more wealth or more power as king, he asked the Lord for wisdom. I appreciate today’s verse from Proverbs 23 even more from a parental perspective. I don’t just want wisdom for myself. Because I see it’s value, I want it even more for our children. Lord knows they’ll need it. Look at the global problems and issues we are handing them. Maybe we could all do little more in pursuing God and live a little more like Jesus by chasing wisdom. And maybe, just maybe, the world around us will be better for it. Prayer: Lord, grant me wisdom. Amen.